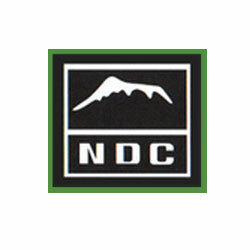 The National Development Corporation (NDC) is an organization owned by the Government of the United Republic of Tanzania, which was established in 1962 by an Act of Parliament. Currently, NDC exists under the Public Corporations Act of 1992 as a development organisation. Given the changes that have occurred in the domestic and global environment, NDC has re-engineered itself to cope with these changes so as to maintain its relevance to the national economic development agenda of Tanzania in close partnership with the private sector. Having re-designed its organization structure for operational efficiency and delivery, NDC now requires to fill immediately vacant positions so as to increase its capacity to fulfil its mandates. These posts are open to properly qualified and experienced Tanzanians. of at least eight (8) years, five of which should be at managerial level in a reputable organization preferably of a public nature. Proven manage­rial and administration skills; and good communication and interpersonal skills; ICT applications is an essential skills. To perform any other duties as may be assigned by the Managing Director. The post carries competitive remuneration as per NDC Salary Structure and Incentive package. Application in writing enclosing detailed curriculum vitae, certified copies of relevant certificates, contact addresses including telephone numbers, e-mail addresses and names and addresses of three referees to be addressed to the undersigned not later than 25th February, 2019. NDC is an equal opportunity employer and therefore qualified women are encouraged to apply. Only short-listed applicants will be contacted.